FREE PRINTABLE SET CUSTOM DESIGNED BY HOW SWEET LIFE IS! 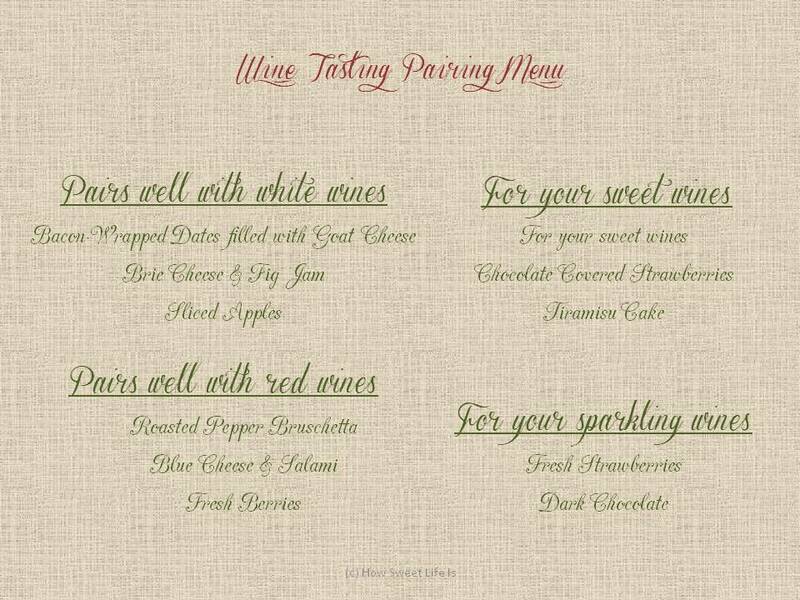 Every year, we host a wine tasting party in December to kick off the holiday season. 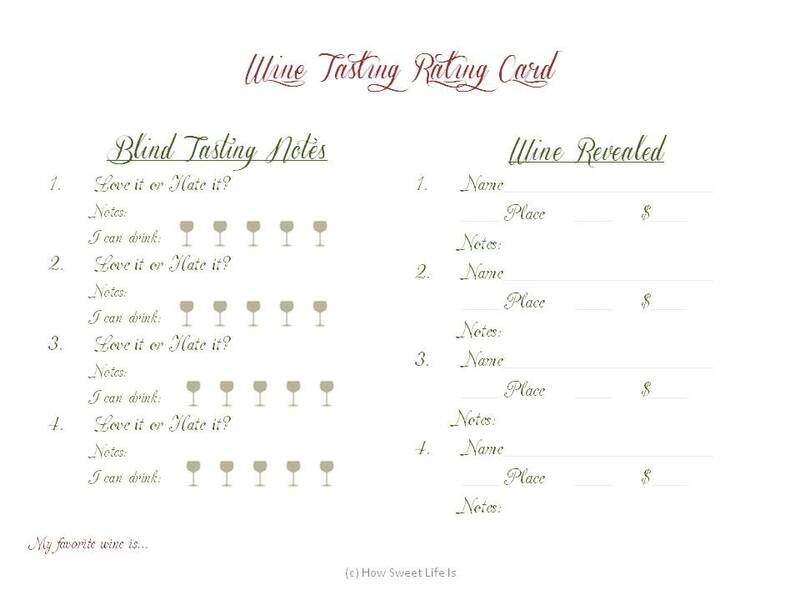 I usually try to create a few custom menus and rating cards to use, and this year I created a coordinating set that I wanted to share with others interested in hosting their own wine party. 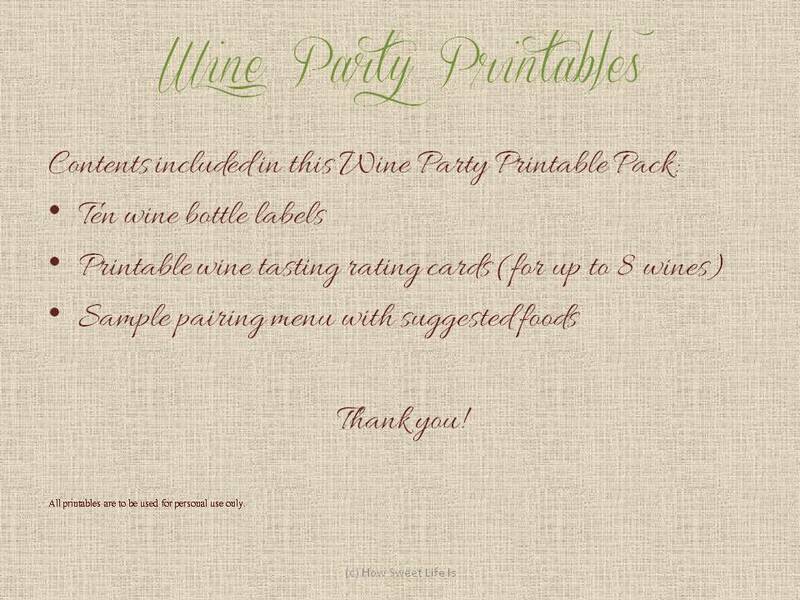 I hope you enjoy my first free printable party set, and I look forward to sharing photos with all of you after the party is over. 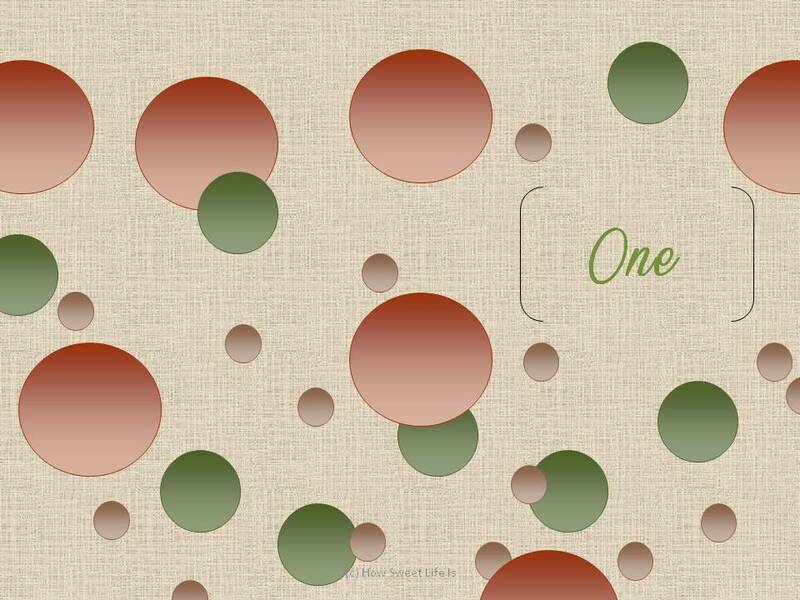 Here are a few previews of the FREE printables, along with links to download each item separately for your personal use. You can download the FREE printable items following the instructions at the bottom of this post. Download your FREE printable items separately here, by clicking on the link, and saving to your computer as a PDF file. Printing Instructions: Make sure you set up your printer preferences accordingly to match the file size. I suggest you print the bottle labels on plain printer paper and the rating card and menu card on heavy card stock.